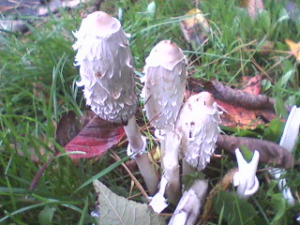 Observation - Shaggy Ink Caps - UK and Ireland. Description: About 20 of these, plus a few that had been squashed/eaten, growing on a grass verge. About 20 of these, plus a few that had been squashed/eaten, growing on a grass verge.